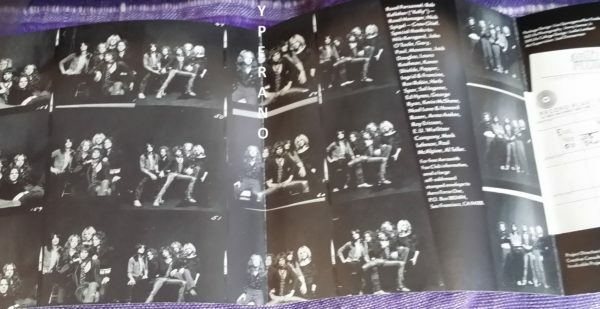 Due to the commercial underachievement of Aerosmith’s 1973 self-titled debut, the young band was nearly dropped by its record label. 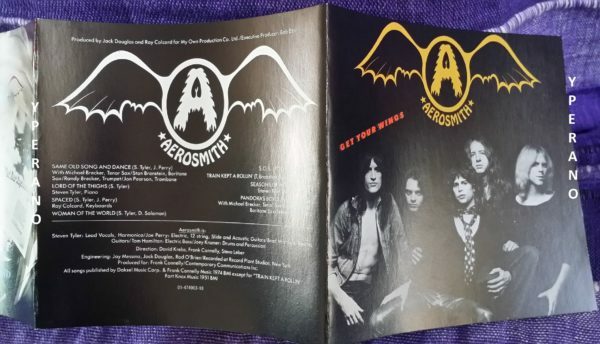 But a rigorous touring schedule helped strengthen their songwriting and tightened their playing even further, so after Columbia wisely decided to back the band again, the classic Get Your Wings was released. It didn’t prove to be the sudden commercial breakthrough that Steven Tyler and company hoped for, but it did go gold one year after its release and set the stage perfectly for 1975 Toys in the Attic, which would propel Aerosmith into the rock & roll stratosphere. 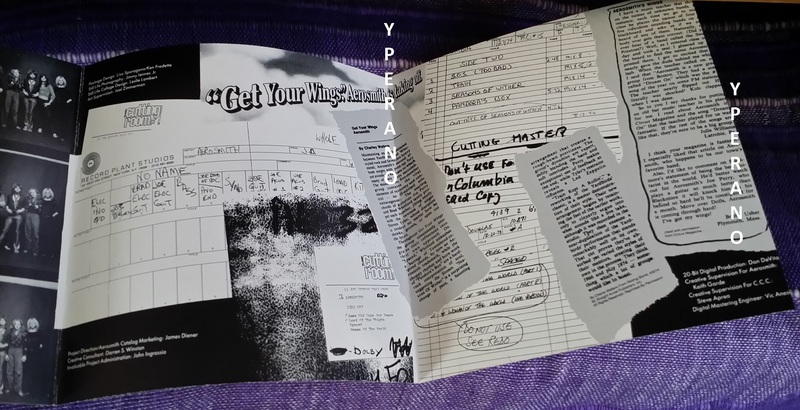 Comparing Get Your Wings to the 1973 debut is like night and day; it sounds almost like a completely different band — the playing is more aggressive, the songwriting succinct, and Tyler had almost fully perfected his instantly recognisable yowl. But the sleaze and grit remained — Same Old Song and Dance combines a nasty blues groove with a tale of a drug deal gone bad, both S.O.S. (Too Bad) and Lord of the Thighs are straight-up rockers, and Seasons of Wither remains the bands most haunting ballad. But the best-known song is their cover of Train Kept a Rollin, which would soon become a perennial showstopper in concert. 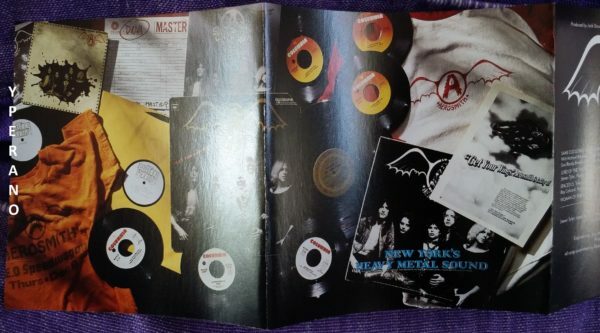 Get Your Wings also marked the first time that producer Jack Douglas worked with the band; he would remain on the controls on nearly all of their future ’70s hits. Format: CD, Album, Remastered deluxe packaging original release liner notes, photos, artwork. The original first pressing artwork was used. The band’s second album Get Your Wings was not a hit, peaking at number 74 on the US chart. Three singles from it all stiffed. But it is, undeniably, a classic record. It features Train Kept A-Rollin’, Same Old Song And Dance and the enigmatic ballad Seasons Of Wither. Best of all is the last song they wrote for the album – Lord Of The Thighs. here is a lesser-known classic – one of the 10 best deep cuts by this legendary band: The whole thing reeks of sleaze, from the lowdown and dirty riff to Tyler’s dark lyrics, in which he revels in the role of a pimp. And the way he sings the word “socialise”, drawing out the last syllable, has such an air of menace and decadence it makes Bon Scott sound like a choirboy. After the band decided they needed one more song for the album, they locked themselves into their rehearsal room, and came up with this. The narrator is a pimp who recruits a young woman he sees on the street into prostitution. Tyler also plays the piano. Kramers opening beat is very similar to the one he would tap out a year later in “Walk This Way” The song can be heard on Liberty Rock Radio in Grand Theft Auto IV: The Lost and Damned. This song is an ode to a world with no savior and a lot of nukes and general man-made mayhem. Written by Steven Tyler and his former band, The Strangeurs. A protopunk song, it emphasizes the same content punk rock would soon be known for: gritty lyrics, questionable moral content, and straight to the point music. Tiny Bradshaws 1951 R&B classic, already turned into a rock song by The Rock and Roll Trio (Johnny and Dorsey Burnette and Paul Burlison) (1956) and updated by The Yardbirds in a 1965 raw British blues version, after whom Aerosmith modeled their version. In the bands early days, it was their signature, show-stopping song, and is still used to end their concerts today. Despite the bands opposition, Douglas put in echo and recorded crowd noises (from the Concert for Bangladesh) around halfway through to give it a live feel, fading into the next songs synthesized blowing wind/acoustic guitar entrance. The song appears in Guitar Hero: Aerosmith and Rock Band. Steven Tyler wrote this song using an old Joey Kramer’s acoustic guitar found in the garbage on Beacon Street. In a change of pace from the rest of the album, this song is a slow, mournful ballad inspired by the Massachusetts landscape in the winter. Joey Kramer’s first writing credit, this song was written on a used guitar he found in a dumpster. It was heavily inspired by the Soul musicians of the ’60s and ’70s. It is a bonus song in the music game Guitar Hero: Aerosmith. Ray Colcord keyboards on “Spaced”.